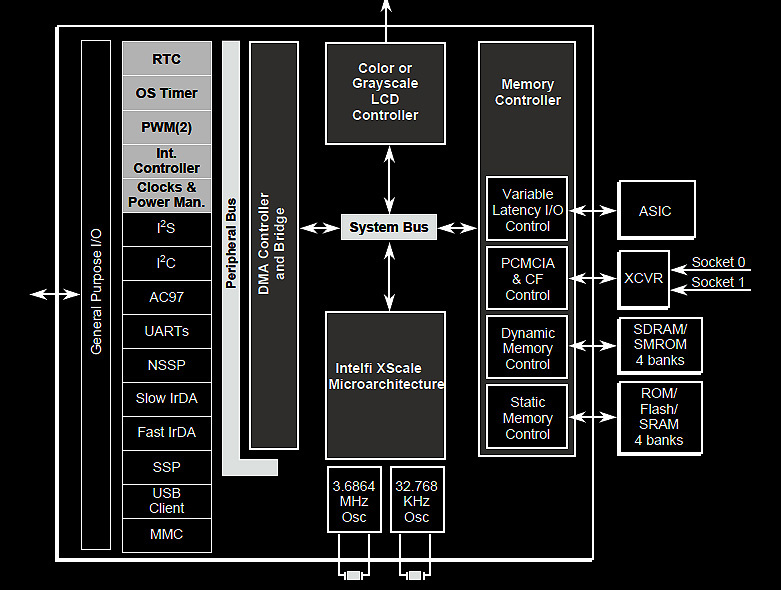 X-Scale: The PXA210 was Intel's entry-level XScale targeted at mobile phone applications. 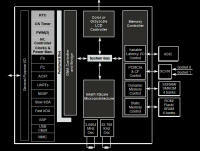 It was released with the PXA250 in February 2002 and comes clocked at 133 MHz and 200 MHz. The PXA25x family consists of the PXA250 and PXA255. 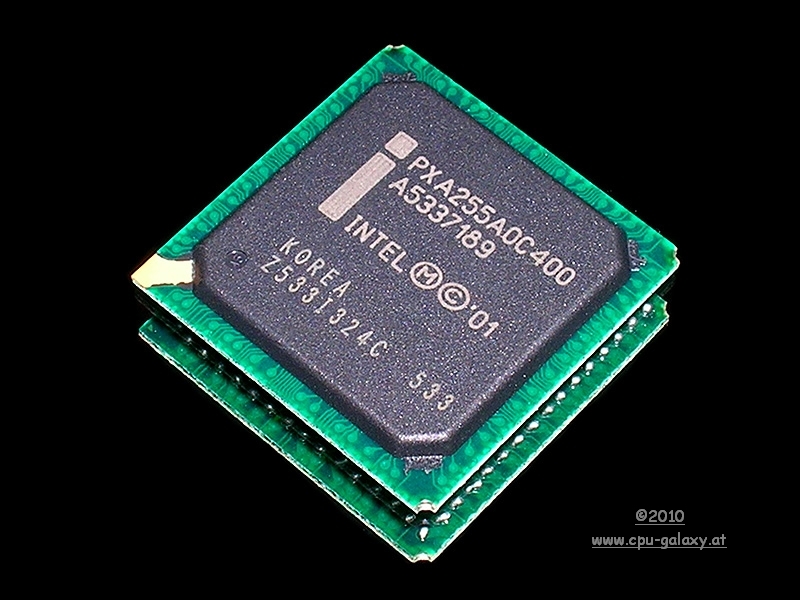 The PXA250 was Intel's first generation of XScale processors. There was a choice of three clock speeds: 200 MHz, 300 MHz and 400 MHz. It came out in February 2002. In March 2003, the revision C0 of the PXA250 was renamed to PXA255. 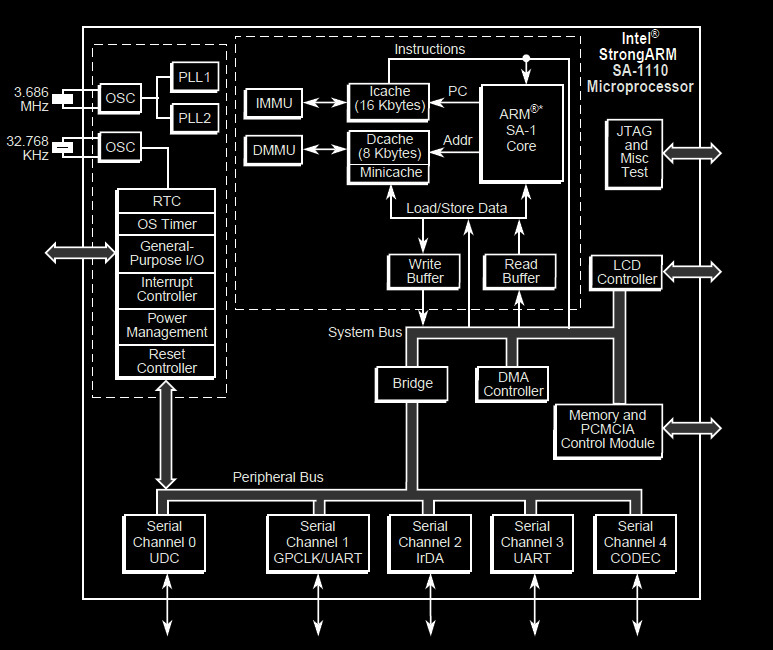 The main differences were a doubled internal bus speed (100 MHz to 200 MHz) for faster data transfer, lower core voltage (only 1.3 V at 400 MHz) for lower power consumption and write back functionality for the data cache, the lack of which had severely impaired performance on the PXA250. 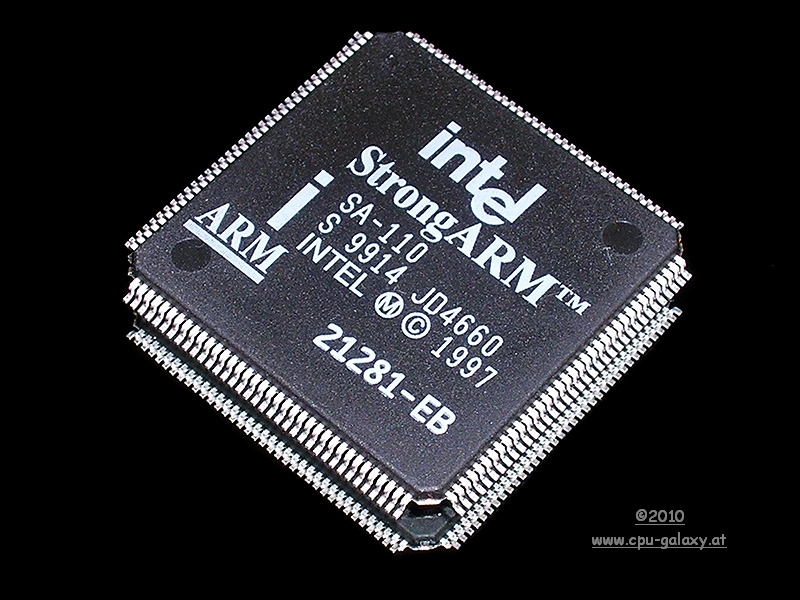 Strong Arm: The SA-110 was the first microprocessor in the Strong ARM family. 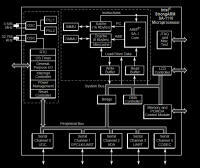 It was introduced in early 1996, debuting at 200 MHz. A 233 MHz version followed in October 1996. Throughout 1996, the SA-110 was the highest performing microprocessor for portable devices. The SA-110 was available in 100, 160, 166, 200, and 233 MHz versions. The SA-110's first design win was the Apple Message Pad 2000. 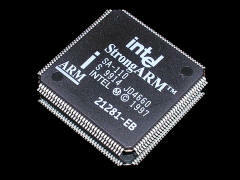 It was also used in a number of products including the Acorn Computers Risc PC and Eidos Optima video editing system. The SA-1110 was a derivative of the SA-110 developed by Intel. It was announced on 31 March 1999, positioned as an alternative to the SA-1100. At announcement, samples were set for June 1999 and volume later that year. The SA-1110 was available in 133 or 206 MHz versions. 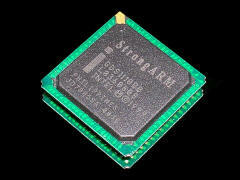 It differed from the SA-1100 by featuring support for 66 MHz (133 MHz version only) or 103 MHz (203 MHz version only) SDRAM. 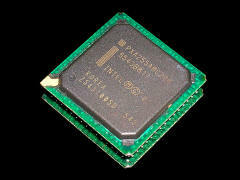 Its companion chip, which provided additional support for peripherals, was the SA-1111. 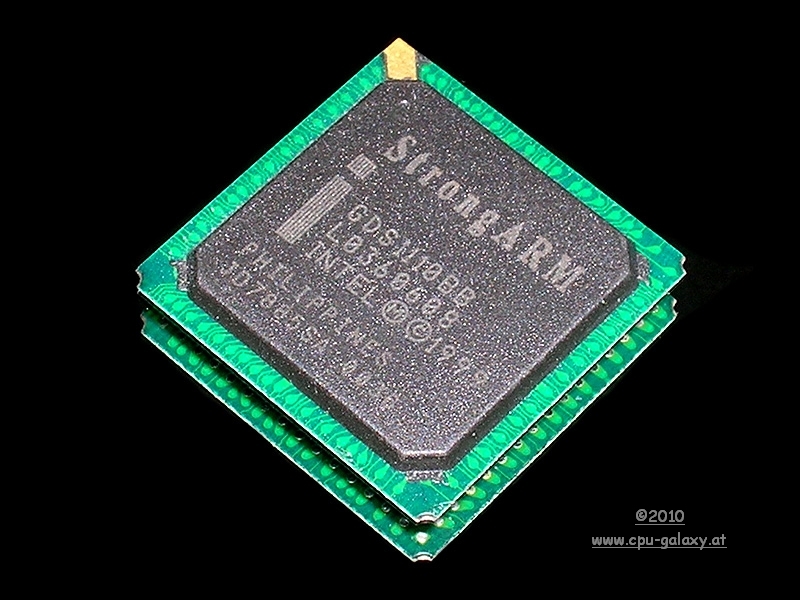 The SA-1110 was packaged in a 256-pin micro ball grid array. It was used in mobile phones, personal data assistants (PDAs) such as the Compaq (later HP) iPAQ and HP Jornada, and the Simputer.